We’ve had some heavy snowfall over the past couple of days, so heavy that the birds are careful around the feeders because of all the snow in the trees branches right overhead. 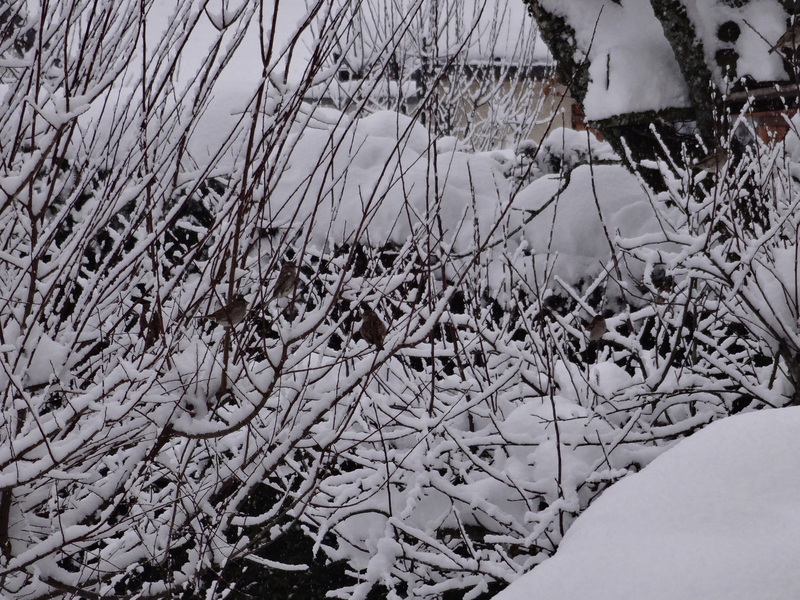 There are six sparrows hidden in the image above, waiting their turn. The air outside is thick and cottony with the latest snow flurry, yet alive with birdsong. Mid- February in the foothills of the Jura Mountains.